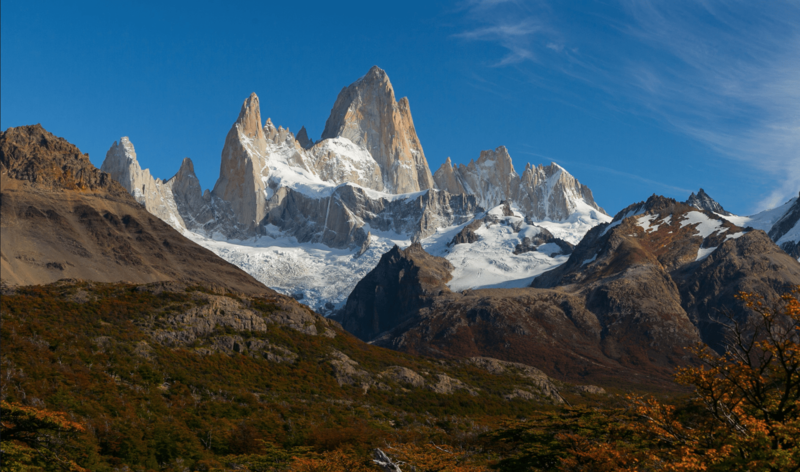 We had tossed the idea of heading to Patagonia, Argentina, around for years, but my friend Henry Jacobson and I finally bit the bullet and booked our flight. Our plan was set for April 2016. We decided to make it cheap and easy by car camping, and wanted to spend less money on our epic adventure than we would on a new, heavy-duty bumper and winch. Before we left our homes in Tucson, Arizona, we rented the least expensive car we could find online. We picked the one advertised as a VW Golf and thought that sounded decent, but what we got was a Renault Clio Mio. Never heard of it? Neither had we. You’re probably familiar with the not-so-pretty Toyota Yaris, though. It’s about the same dinky size, but even uglier. We joked that Bozo the Clown would roll in this thing—with a dozen of his clown friends, of course. Henry and I, along with other close friends, were seasoned adventure enthusiasts and had taken many trips over the last 30 years. We had sailed Hobie cats from Kino Bay to LA Bay in Baja (fully unsupported, of course), climbed Orizaba (the highest peak in Mexico), camped and four-wheeled around the San Juans of Colorado, and pit crewed for a motorcycle team for the Baja 1000 and Baja 250 a dozen times, just to name a few. Basically, we know how to prepare for self-sufficient travel. It requires a lot of gear, but since we were flying and only had limited capacity with one checked bag each, we decided to go light and be prepared to camp anywhere we found ourselves at the end of the day. We only brought our basic cold-weather clothing and camping gear. Imagine if Boston and Mexico City had a love child—that’s Buenos Aires (BA). It has the charm and character of Boston and the dense population of Mexico City. BA is a world-class city with 13 million people. That’s almost 35,000 inhabitants per square mile! It’s big for sure, but we found it both friendly and pretty clean. We booked a room in the San Telmo neighborhood, and spent our time in BA taking pictures of the architecture and relaxing in restaurants. We flew into El Calafate where Clio (our rental car) was waiting at the airport for our adventure to begin. We grabbed breakfast, which in Argentina means a pastry. We stocked up on some supplies and filled up Clio at the local YPF (the Argentine national energy company). Whenever we had less than half a tank and saw a YPF, we got gas, because southern, rural Argentina is typically no-man’s land. There weren’t any houses, gas, and even very few cows or horses. 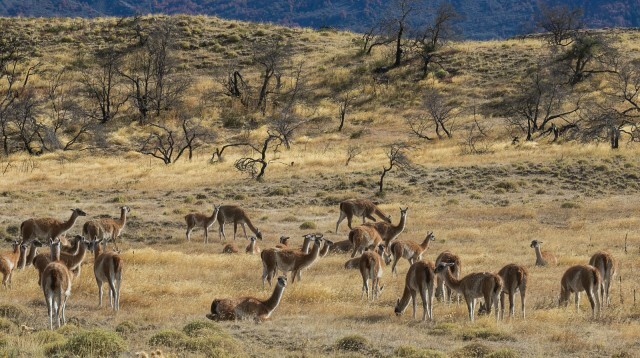 However, we did see lots of guanacos (sort of like a camel or llama), grass for miles, big views, and blue rivers. It was perfect and exactly what we came for—vast and undisturbed natural beauty. 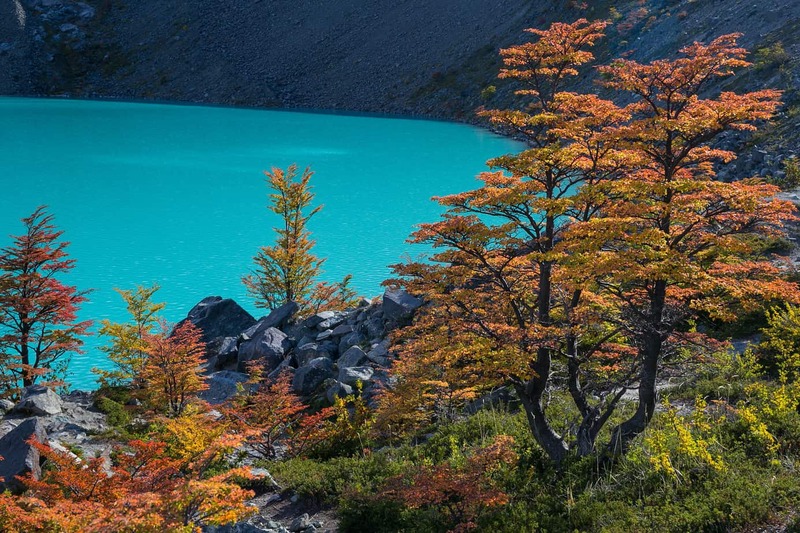 We drove by two huge, aqua-blue lakes—about 40 miles long—as we circled north to El Chalten, a mountain town. Fitzroy Peak and its little siblings were in clear view, with the glacier right behind it. 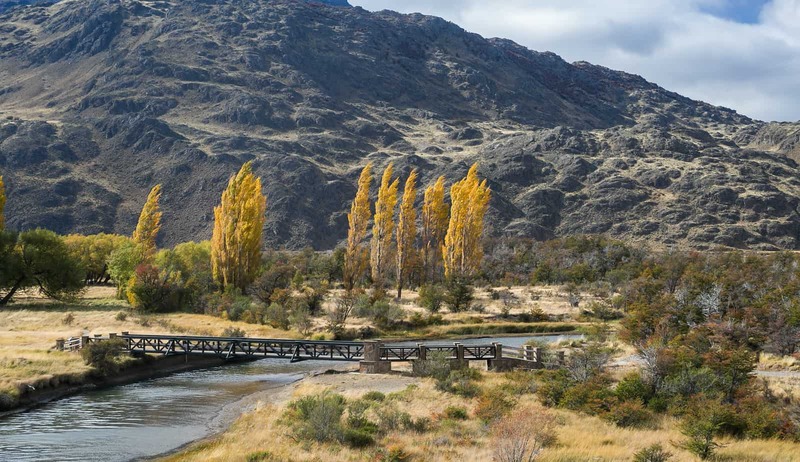 We liked El Chalten better than El Calafate since El Calafate was 40 miles away from the mountains. It was late fall and the trees up against the base of the mountains were turning burgundy. We saw a few reliant backpackers—mostly Europeans and South Americans—walking around, probably wishing they had their own wheels like our beauty, Clio. A lot of them were hitchhiking to their next adventure. There were almost no cars coming and going though and it was getting dark. We tried to get some lodging, but were out of luck since all were either full or closed for the season. We found a camping site for $7/each. It was windy, but the winds only seemed to blow from the glaciers toward us. And since the wind only ever came from one direction, the shelters only had three sides. 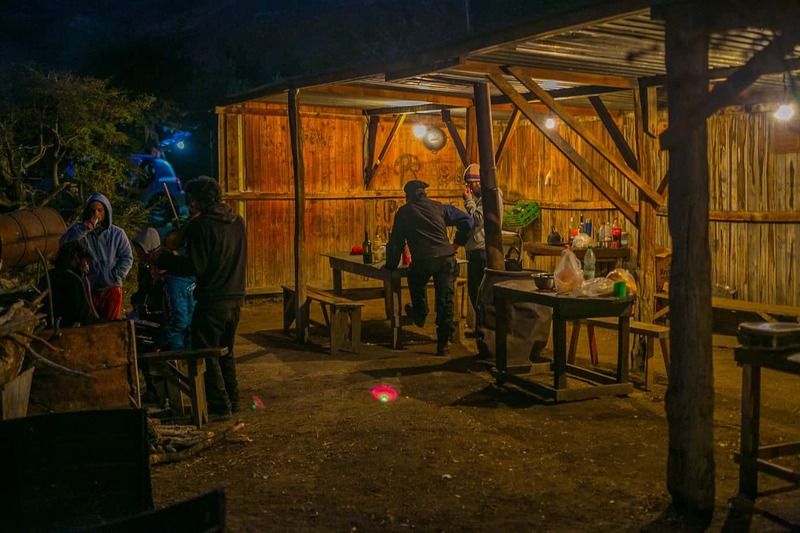 That’s where we shared cooking and fires with Argentines and Spaniards who drank huge bottles of Malbec and gourds filled with mate until the wee hours. It got down to 25 degrees and the wind was relentlessly blowing. 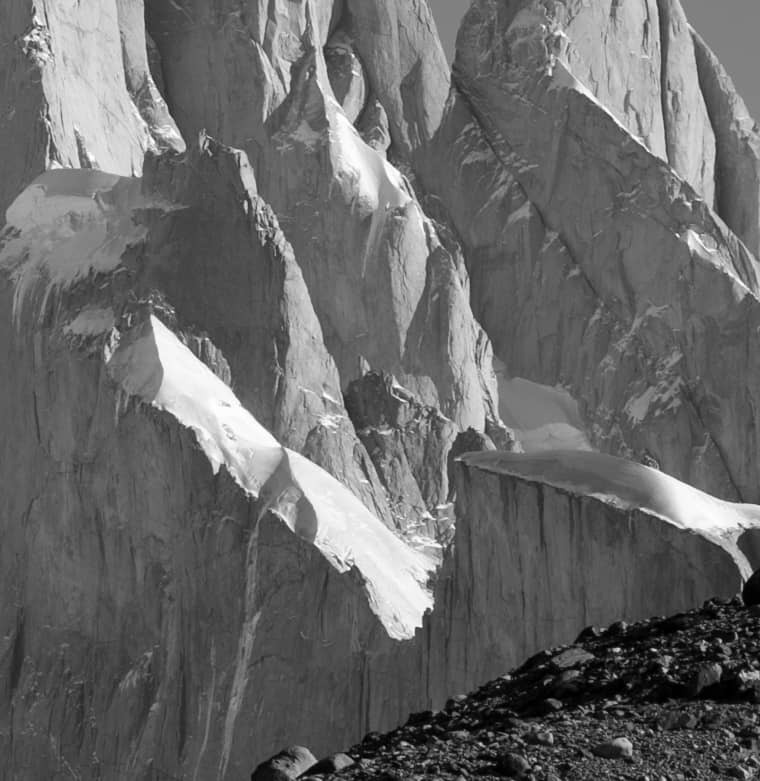 Fitzroy was a stunning mountain and I loved it. We hiked for three days just to be closer to it and everything that surrounded it. We were psyched we had awesome weather. We did a side trip to the Huemul Glacier and we were the only people there. We figured backpackers didn’t want to chance a ride to a place 30 miles away. Luckily, Clio took us to amazing places. The weather remained relatively good so we decided to get away from the little town in the middle of nowhere and explore. 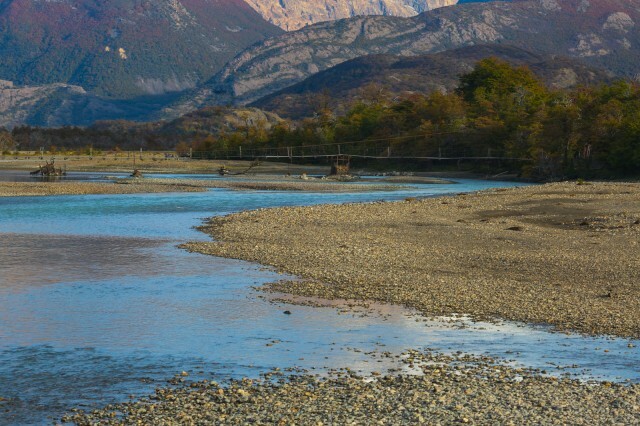 We headed north on Route 40 to Perito Moreno National Park, which only gets 1,200 visitors per year. 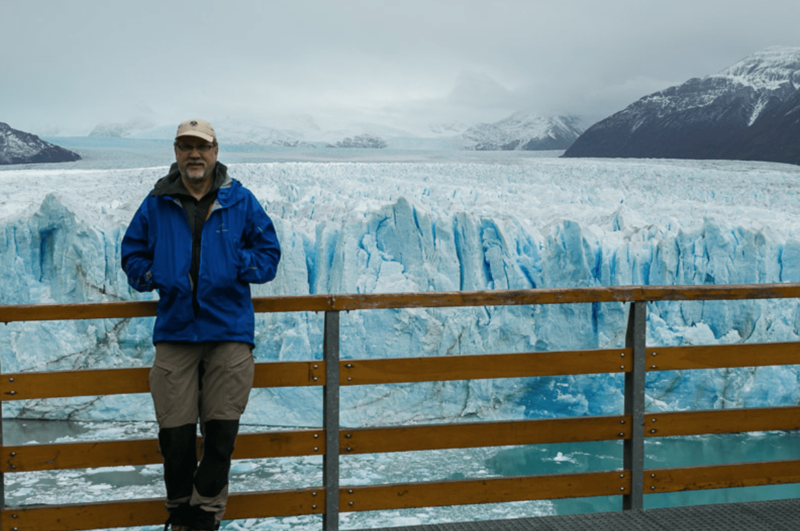 There was also Perito Moreno Glacier and the town of Perito Moreno, but they were 200 miles apart. No one we talked to in El Chalten had heard of where we were going. We loved that! We drove 80 miles down a gravel road, which was another 80 miles from a tiny town. We loved it and were totally in our element. We hoped we wouldn’t blow a tire since I drove like I was in the Baja 1000 VW class. We didn’t see any cars on this part of the trip. We cherished the feeling of remoteness. Henry and I talked only occasionally while we embraced the solitude. According to the park service guy, we were the only visitors that day. This would not be true in January, February, or March though. All 5 campsites would surely be occupied. 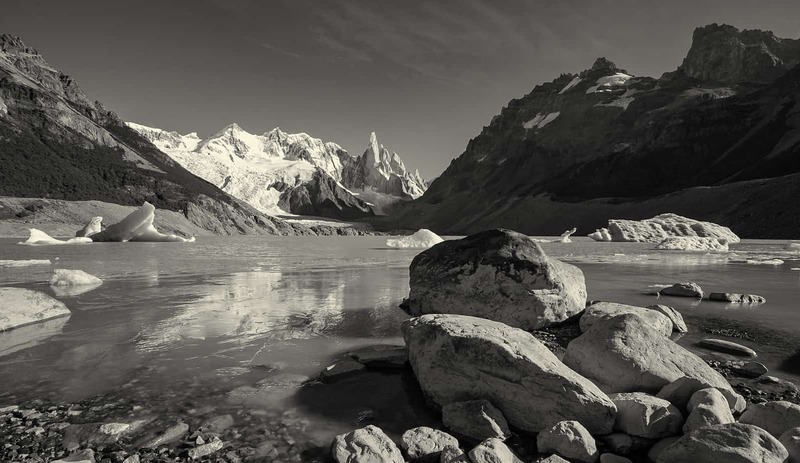 El Calafate and El Chalten would be Disneyland-busy in February. We logged in. There wasn’t a fee. He just pointed us to a road and we drove 30 kilometers to a campsite. We headed north to Chile. There were only three other cars at the border station. It was slow-paced and relaxed. The border agent went through our car and found a bottle of Argentine Malbec. He swung it as if he was going to break it on the car, but then stopped and teased that Chilean wine was far superior to Argentine. 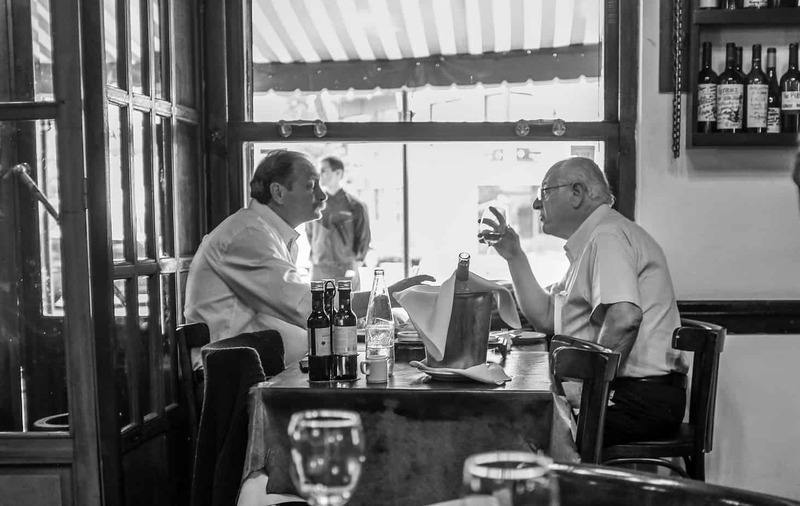 This is the first of many exchanges where we discovered Argentina and Chile were not big fans of each other. The pavement turned to gravel immediately across the border. Clio Mio handled gravel so well. We drove alongside a stunning lake that was in both countries—each side had its own name. We arrived in Cochrane, Chile, 5 hours later. We were hungry and needed to find a camping spot. It dawned on us that we only had Argentine pesos in a country that does not like Argentina. We should have got Chilean pesos in Chile Chico. Neither of us brought a debit card and the banks were closed (seems like they closed at 1:00 p.m. each day). And when they were open, there were 20 people waiting for one teller. We walked the streets discussing our options for getting Chilean pesos so we could get dinner. Finally, a sympathetic store owner helped us out and exchanged $50 USD for Chilean pesos. Chile was very friendly to us, but it was time to head back south. Argentina welcomed us back at the border crossing at Paso Rudolfo Roballos. It was old school where they logged us in. We glanced at the log and we were the only people to cross that day. There were only three other people in the last four days. 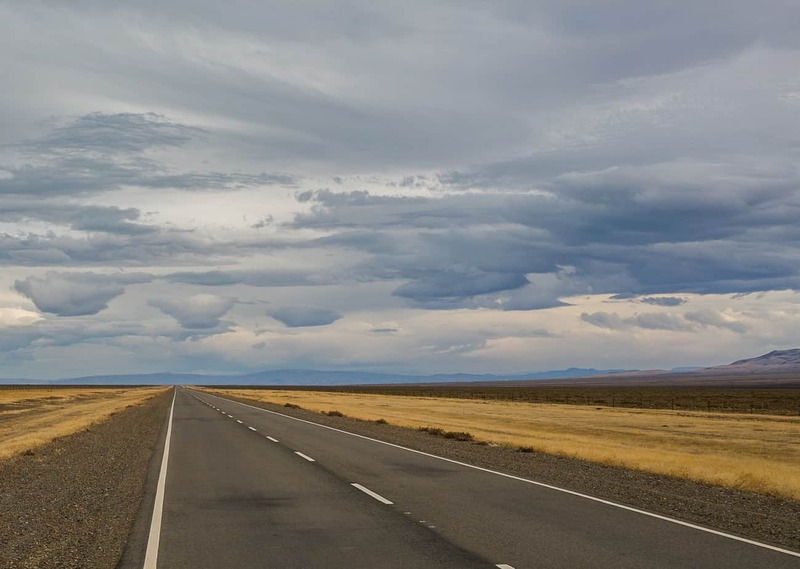 From the time we left Cochrane and arrived back to El Calafate, we had driven about 16 hours over two days. In that timeframe, we saw a grand total of 11 other vehicles. We quit using our map since there was only one road about everywhere we went. We managed to get “lost” twice when we got to an unsigned fork in the road and took what we thought was the obvious choice. We got to see more of Argentina that way though. 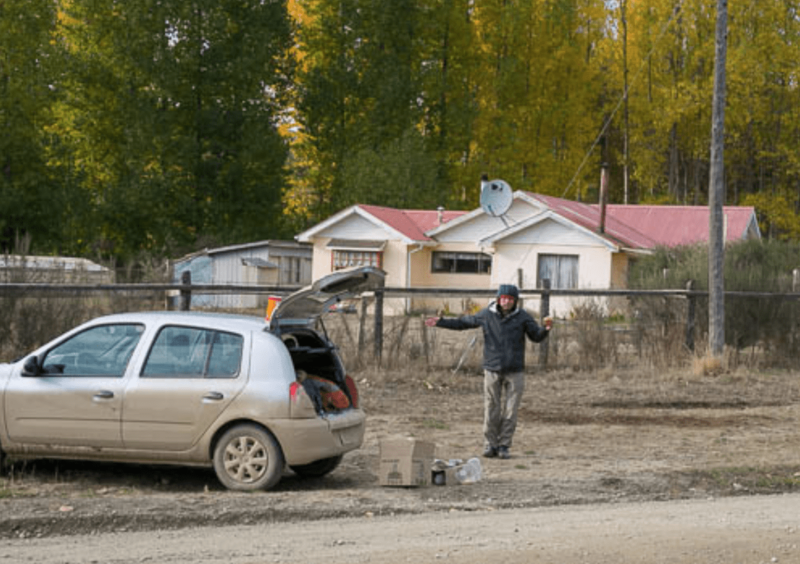 We rolled into El Calafate and filled Clio’s tank. Our next stop was to the glacier and another night of camping. We got to the entry of the glacier at 4:20, but it closed at 4:00. A super-friendly park service guy pointed us toward camping 30 kilometers away, and as we left he waved and said, “Que tengan gran exito!” which meant “I hope all goes well.” So did we. When we arrived at the camping area, the sign said “Closed for the Season.” I pulled out my I-Overlander app. It worked! I didn’t need cell service, just the GPS. It showed free camping nearby. In the end, we learned to love our Clio Mio—the best clown car around. She never let us down. 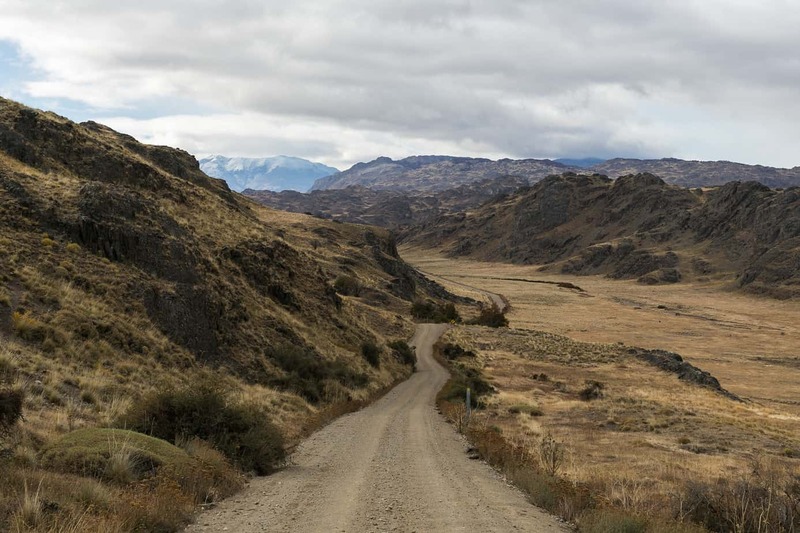 We drove 2,800 kilometers—about 1,200 of that off-road—mostly on gravel. She undoubtedly added immeasurably to our adventure. 1. Travel in late fall or early spring. 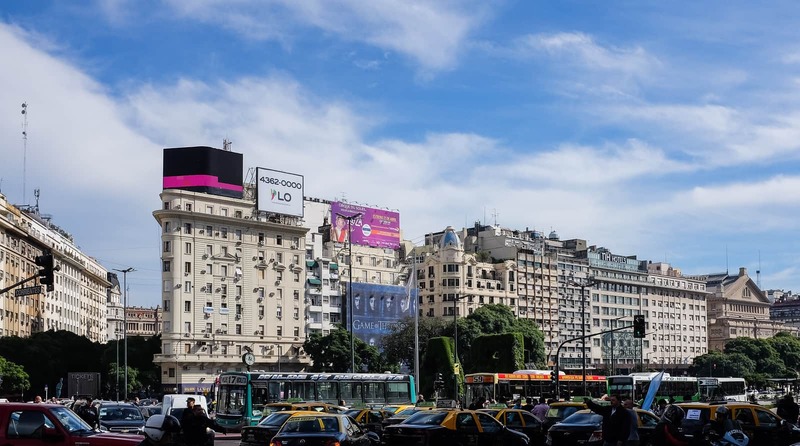 During Argentina’s summer months of December through March, it can be more challenging to rent a car and find hotel accommodations. In addition, the trails will be crowded. 2. U.S. dollars and Argentine pesos are relatively freely and easily exchanged while in Argentina. If you travel into Chile, you will need Chilean pesos before you enter that country. Alternatively, you can obtain Chilean pesos from the few ATM machines that you might find in Chile. 3. Learn some Spanish! This, of course, is obvious from a communication standpoint. We immediately discovered that even limited Spanish goes a long way. 4. 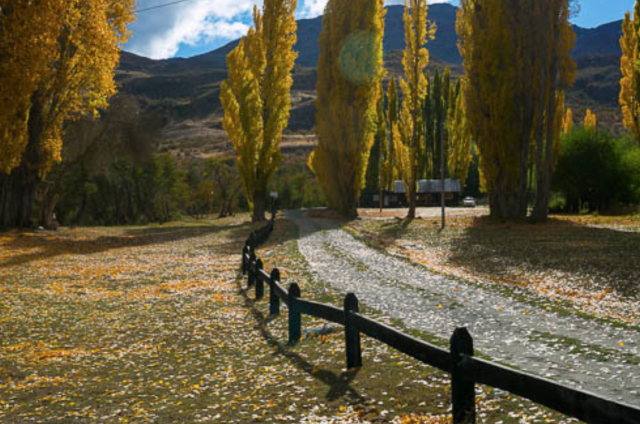 If you are considering an extended backpacking outing during your trip, the best bet would be to get a bus directly from El Calafate to El Chalten. There you can walk to the trailheads from town and equipment rentals; camping and backpacking supplies are readily available. 5. A passport and driver’s license is all you need. You don’t need any shots. Bring both a credit and debit card. 6. 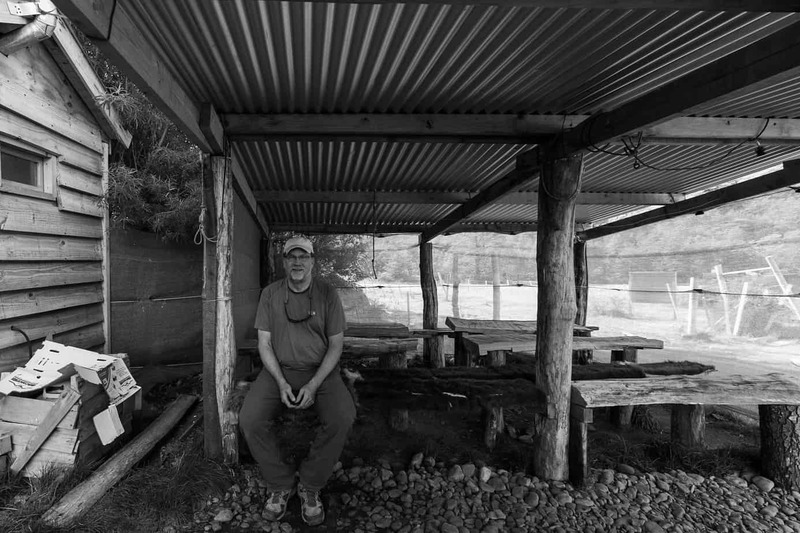 Don’t drink from the tap in BA, but you can in the mountain towns. You can drink stream water at the base of Fitzroy since there aren’t any cattle or bears on the mountain. 7. You like Malbec? We thought a $4 bottle at any store was great. BYO corkscrew though. 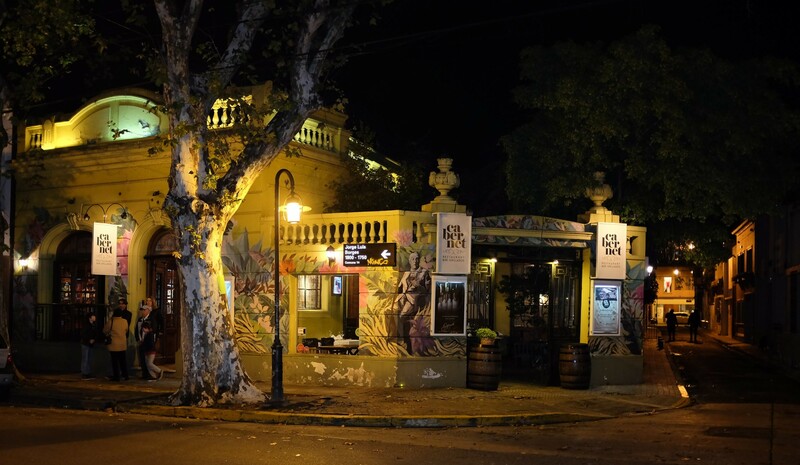 The beer in Chile and Argentina is similar to Mexican beer. There are craft beers, too. Chile has more choices though. 8. Argentina doesn’t have salsa or spicy stuff. Pack it if you are like me and would prefer to not go without it. 9. If you like grilled meat, you are in the right place, my friend. These guys are pros. 10. 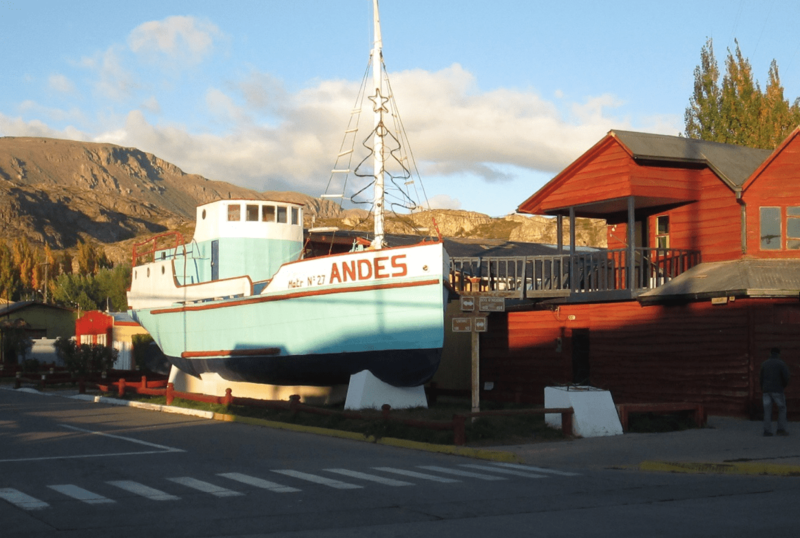 El Calafate had some of the best Italian food on earth—except the pizza. Sorry Argentina, you just eclipsed Mexico for worst pizza. (We tried three times.) The pizza es no bueno. Get the lamb or pasta instead. 11. 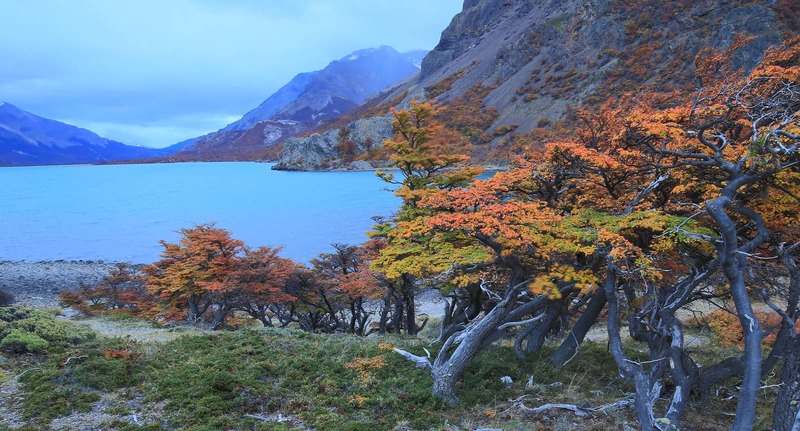 You can rent or buy any backpacking and outdoor-related equipment once you arrive in Patagonia. Little did we know they had Patagonia and North Face stores in El Calafate. 12. 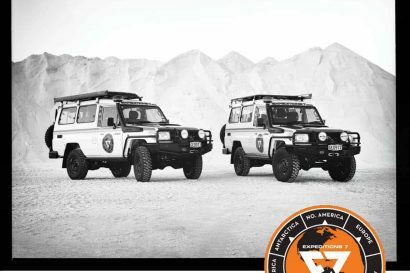 Download the I-Overlander app. 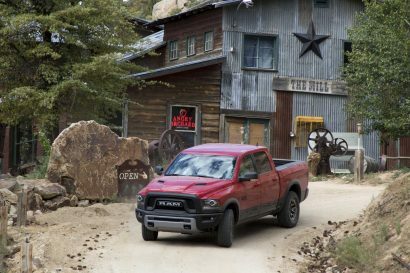 Among other things, it’s great for finding vehicle-based campsites—whether organized or just rogue spots.